Properties in North Hills Museum average 4.5 out of 5 stars. 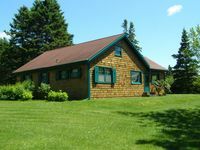 Property 1: Cozy Seaside Cottage- BEST LOCATION ON THE BAY OF FUNDY SHORE! 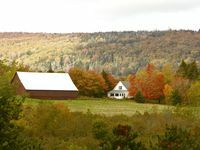 Boutique Farmhouse Cottage; 60 acres; Annapolis Royal 5 min. Property 5: Boutique Farmhouse Cottage; 60 acres; Annapolis Royal 5 min. Everything you need, and more, is how Andi has thoughtfully prepared the delightfully decorated and cozy Wildflower Cottage for guests. The cottage is an excellent base for exploring many regions of that end of Nova Scotia. You can cook a full meal in the well stocked kitchen, or go to one of the fine local restaurants; you can walk the clearly groomed pathway from the cottage to the dike on the river, or tour one of the many historic sites nearby; you can catch a well produced concert 10 minutes away in Annapolis Royal or stay at &quot;home&quot; to read one of the multitudes of outstanding books available to match any taste. When you decide to venture out to discover the local area, try the clams or haddock pieces at Crow's Nest for a tasty and inexpensive lunch or dinner in their very fun dining room. Also, check out what's playing at the Kings Theatre in Annapolis Royal. We caught two super concerts: Jim Cuddy, and JP Cormier. Watching the Fundy tide come and go was fascinating to these Albertan tourists. Overall, Wildflower Cottage is a peaceful, lovely spot to refresh your spirit while enjoying Nova Scotia's culture and beauty.